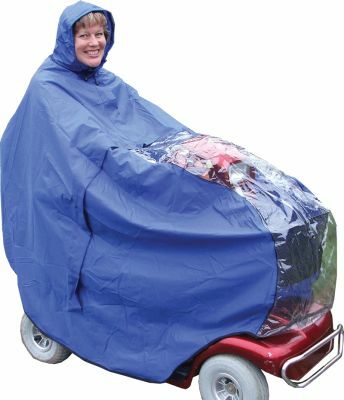 This mobility scooter clothing cover encapsulates the scooter providing a totally dry environment for you and the controls. The snug fitting hood ensures that your only exposed part has maximum protection. A totally dry and safe environment. The tailored front allows the cover to be used with either 3 or 4-wheeled scooters and the clear front improves your safety by allowing your lights and indicators to be seen whilst being protected. Will fit most of the standard 3 & 4 wheel scooters. It is available in one size in Royal Blue, Grey or Maroon.